The first step involved assessing the dimensionality of the 12 web site development influencers as this was not known a priori. The qualitative research indicated that certain influences worked together, suggesting the potential multidimensionality of the statements. 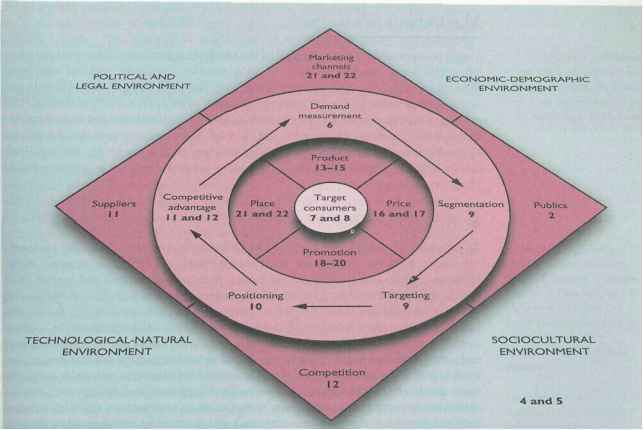 According to Spector (1992, p. 54) "exploratory factor analysis is a good technique for studying the dimensionality of a scale, either a (supposedly) unidimensional or a multidimensional one". Principal components analysis was chosen as the most appropriate technique of factor analysis. Prior to performing PCA the suitability of the data was assessed. Inspection of the correlation matrix revealed the presence of many coefficients of 0.3 and above. The Kaiser-Meyer-Olkin of 0.711 exceeds the recommended value of 0.6 (Kaiser, 1970, 1974) and the Bartlett's test of sphericity (Bartlett, 1954) reached statistical significance, supporting the factorability of the correlation matrix. In addition, the ratio of observations to variables far exceeds the acceptable ratio of 4-5:1 recommended by (Hair et al., 1987). A Varimax rotation was used, as this is considered the best for computing factor scores to be used in subsequent analysis. PCA revealed the presence of four components with eigenvalues exceeding 1, explaining in total 60.6 per cent of variance. Table V shows the results of the analysis. The subsequent dimensions were then subjected to reliability analysis to test for the internal consistency of the scale constructs. The results indicate three of the dimensions show very good internal consistency, factor 3 shows weaker internal consistency. However, since the correlation coefficients for the two items on which this factor loaded were high it was decided to retain the factor in subsequent analysis.